Objective of this workshop was to set standardized pathways for the implementers of the Quality Criteria Recommendations Tool and to prepare them to successfully run the study visits that will take place in 5 implementing countries in 2019. Study visits are an important step in the implementation process. During the workshop in Belgrade, the details of the site visits were thoroughly planned, to ensure that patients are involved meaningfully in the process. QCR tool will be tested at 8 locations in 5 countries: Slovenia, Serbia, Croatia, Finland and Greece. Click here to see the description of this tool. The agenda and the concept of the workshop is available here. Rationale, objective and methods are described here along with the expected outcomes and recommendations in the nutshell. Patient involvement and patient empowerement has always been one of our focus areas as the patients are in the centre of our implementation projects. If you want to learn more on aspects and various dimentions of empowerment, click here and learn more. And last but not least, here you can find the Key Recommendations for Future Implementations. This presentation contains the SWOT analysis that focuses on enablers and barriers related to the implementaion. This excercise preceded the finalization of Pilot Action Plan as the essential tool for future operational planning and monitoring. An important step of the implementation process is a site visit at these 8 locations during the first half of 2019 by a group of experts including the leaders of this work package. During this workshop, the details of these site visits were planned thoroughly. The study visits were designed from a patient/person perspective to assess if the pilot activities meet patients’/persons’ expectations with a special emphasis given to the respective QCR Tool, on empowering the target population, as well as education and training to promote empowerment. 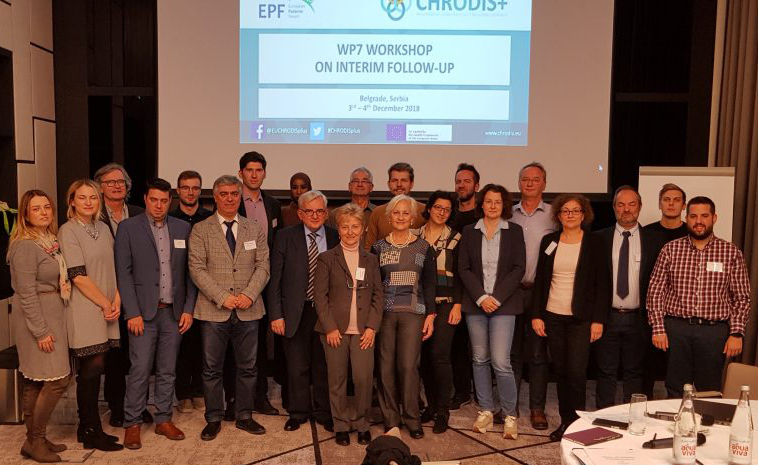 Further meetings of this working implementation group will continue in March and in April and we are happy to keep you updated!